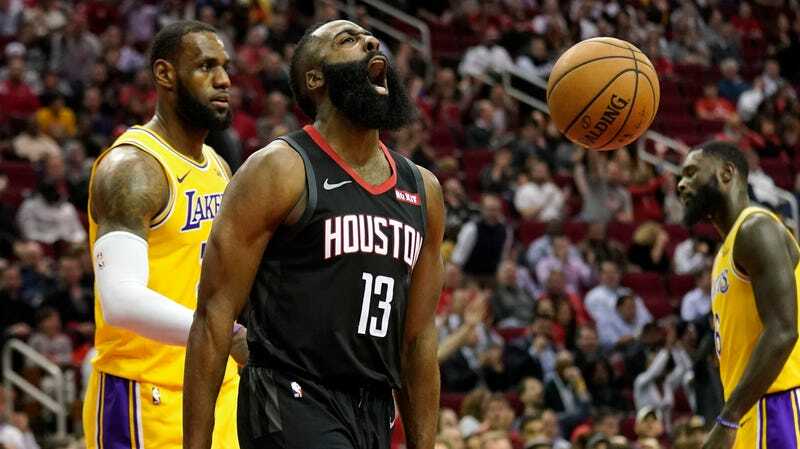 James Harden carried the sub-.500 Rockets to a much-needed win at home against the Lakers Thursday night, as Houston beat L.A. 126-111 in a game that was tight up until the last few minutes. 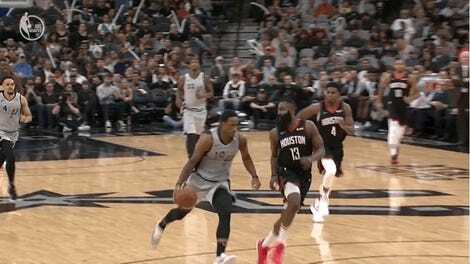 It was a signature performance from Harden, who scored 50 points on 14-of-26 shooting and also picked up 11 assists and 10 rebounds for the triple-double. It was the fourth 50-point triple-double of Harden’s career, which is more than anyone in NBA history. “They got guys that can sell calls really good—Chris and James—so you got to try to keep your hands out of the cookie jar,” LeBron James said. “You can’t touch them,” Lonzo Ball emphasized. 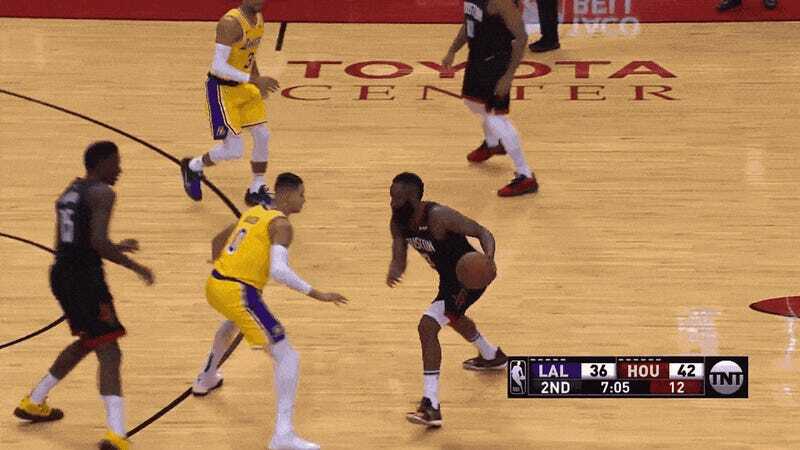 But while the Lakers have a point, it wasn’t just trickery that won Harden the game. 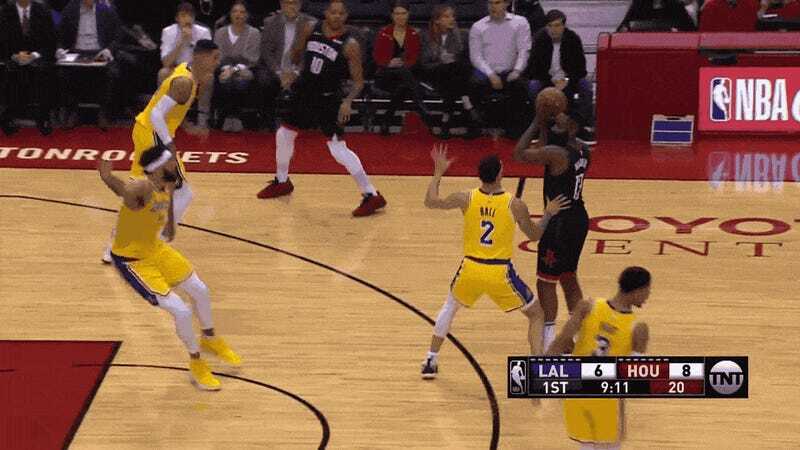 On his best shot of the night, to put his team up double digits in a monster fourth quarter, Harden was one-on-one with LeBron and, failing to draw a whistle, still knocked down a dramatic long-distance bomb that took a beautiful roll around the rim before dropping in. The Rockets are a reigning conference finalist and they’re currently 13-14. They’re going to need some more rolls like that this season.